An advanced Photoshop class will be offered at LEAA starting May 21st through June 25th. A Ribbon Cutting Ceremony will be held at 4 p.m., Friday, May 29 at Burton & Vick, LLC. An Open House will be held from 4-7 p.m. Discover why more than 700 people attended this award-winning event last year. The Marion Chamber of Commerce Community Day Committee will hold a meeting on Thursday, June 4th at 8:15 a.m. at the Chamber office. The Marion Chamber of Commerce Monthly Membership Luncheon will be held on Tuesday, June 9 at noon at Rent One Ballpark. 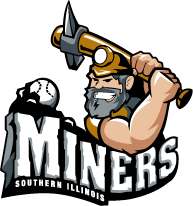 The presentation will be given by Mike Pinto, Manager of the Southern Illinois Miners. Mayer Networks is the sponsor of the June Monthly Membership Luncheon. A Creative Writing Workshop for Children will be held in June. Peoples National Bank's Customer Appreciation & Salute to Veterans will be held on Friday, June 12 from 11am-1pm. A Ribbon Cutting Ceremony will be held on June 12 at 11:30 a.m. at House 2 Home Realty, located at 304 Pershing in Energy. This two-hour informational seminar covers the basic requirements of starting your own business including: legal structure, start-up requirements, finding financing and business planning basics. SIU Credit Union will host a FREE credit seminar, “Power Over Debt: Break the Debt Cycle”, in Carbondale on Wednesday, June 17 from 6 to 8 pm. Learn if debt is dragging you down and how to take control of debt before it takes over your life. This conference brings together inspiring speakers for four content-driven tours and over a dozen sessions that will present best practices, planning tools, success stories, and how-to’s for preservation-based economic development and community preservation and revitalization. I just want to watch the game - Choose this option if you aren't interested in the advertising space, business vendor space at the Tailgate Party or a table on the concourse to display your business' goods/services. Southern Illinois Miners and Silkworm Kickoff Night, May 20th, 2015 at 7:05 P.M.
Raise to Raze: Will Dr. Brown and Paul Kosuth Have to Cut Their Hair? Be a matching donor to reach our goal to help students at staff at Brehm and OPTIONS. Employee development in the workplace is important for many reasons. Read below about five trends that businesses are increasingly implementing into their employee development plans. Brehm Preparatory School has opened their doors to provide families of children with learning disabilities (LD’s) a place to meet privately. The first meeting for parents and families of children with LD’s is scheduled for Monday, May 18 from 7pm-8pm. Local Rotarians raise money for local and international programs at their first annual gala. The theme for this year was speakeasy and entailed a silent auction, live auction, and their signature item...bow ties. The Blooming Idiot Floral Show is now up on the walls of the Arts Centre on the downtown square in Marion now until the end of June. Despite the odd title of the show, LEAA members have gone all out to create beautiful works of art depicting floral themes. At Brehm Spring Family Weekend, we announced our Raise to Raze Challenge, and with 4 weeks left to raise $200,000 for our students and staff, we have a little less than half we still need to raise. We are proud to announce that our new location in Marion is now open! A Ribbon Cutting Ceremony was held at 4 p.m. on Friday, March 27 at The HUB. The Grand Opening followed on Saturday, March 28, starting at 11 a.m. If you have not participated in our Chamber's electricity buying group you need to. Our broker AGE is going to open a new electricity buying pool for those not in a pool or contract now. If you use more than 15,000 kwh's a year you qualify for our program. If you are below 15,000 kwh's/yr you are already in the city/county plan. March was the thirteenth month in a row that unemployment rates fell in every metro area in the state compared to a year ago, according to preliminary data released today by the Illinois Department of Employment Security (IDES) and the U.S. Bureau of Labor Statistics (BLS). The Marion Chamber of Commerce held its Business Before Hours event on Thursday, April 23, 2015, at Heartland Regional Medical Center. The event included a presentation by Russell Williams with Brehm Foundation on John Maxwell's Leadership Principles. The April Business After Hours Program was sponsored by Volkswagen of Marion. A Ribbon Cutting Ceremony was held at Cool Spoons on Wednesday, April 22 from 4-6 p.m. The Marion Chamber of Commerce Monthly Membership Luncheon was held on Tuesday, April 14 at noon at Kokopelli. The presentation was given by Brad Dillard with the River-to-River Relay.